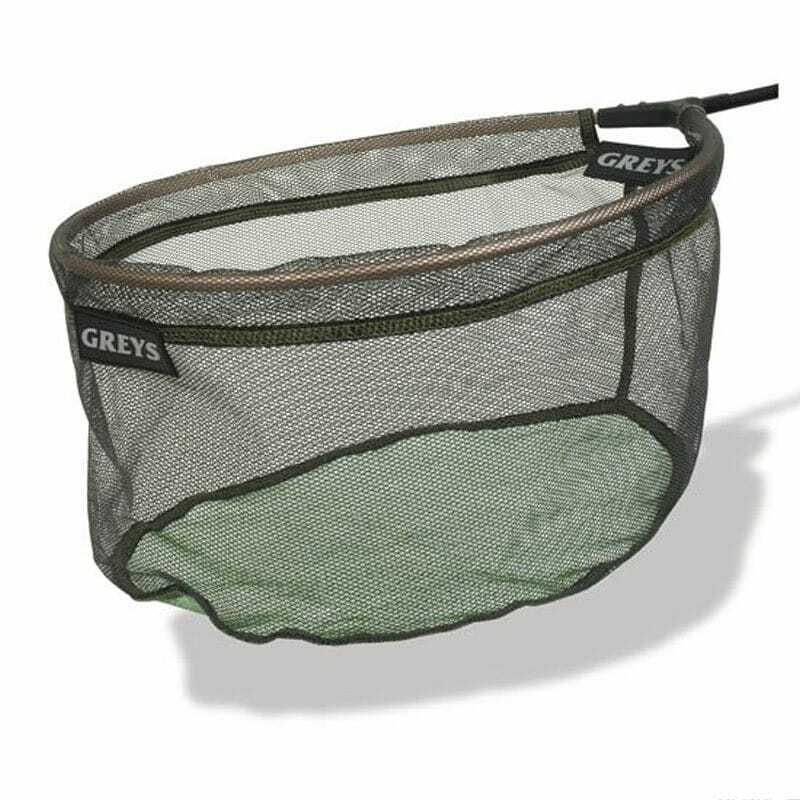 The Greys Prodigy Rubber Micro Mesh Net is designed primarily for match anglers. It’s made with a fine micro mesh and heavy rubber coating. The fine mesh prevents hooks and terminal tackle from snagging and helps prevent scale and fin damage. It also repels water, remaining lightweight enough to manoeuvre quickly into place. These nets come in a choice of 14 inch and 16 inch widths. Being shallow and compact makes them ideal for speed fishing, particularly when targeting silver fish and small cap.